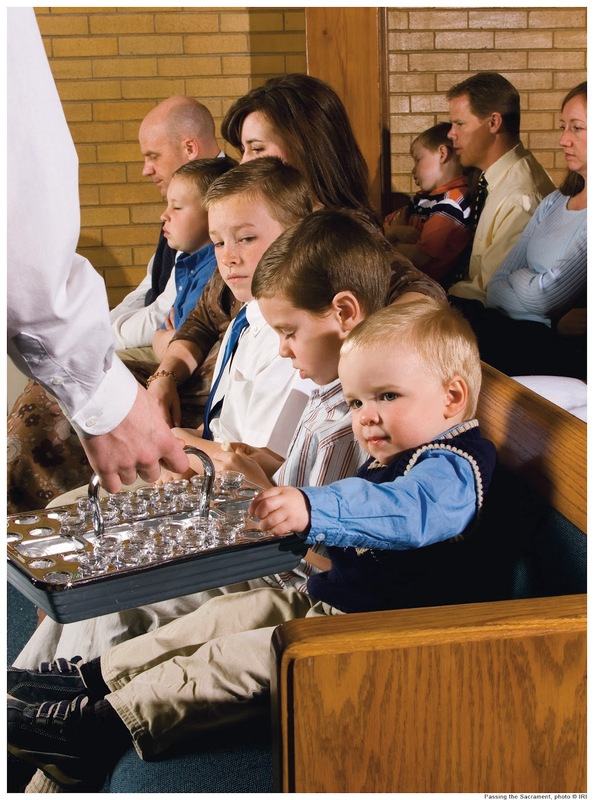 In my childhood home we observed the Sabbath Day and were taught to keep it holy. Ofttimes we'd see friends outside playing and/or neighbors going for recreational activities. We knew, thanks to parental and prophetic teachings, to keep the day holy (and different from the rest of the week) but it wasn't until later that I understood, more in-depth, why. While serving as a missionary in Mexico - in the late 80's - we had a question come from a member of another faith. He sincerely wanted to know why we honored the sabbath on Sunday instead of on Saturday. I took the matter seriously and knew that I had to really find out more. For several days I did an in-depth study coupled with much prayer as to the 'why's' of the Sabbath and the reasons that the Lord taught us to serve Him and use the day in worship. That question proved to be a tremendous faith-builder for me. I researched and pondered on many things that I hadn't known before. My understanding of the sacredness of the day and it is a protection in the last days for those who honor it - nourished the seed that was already planted in me and....taught me a tremendous amount about the Lord's reasons for his commandments. "We have become largely a world of Sabbath breakers. On the Sabbath the lakes are full of boats, the beaches are crowded, the shows have their best attendance, the golf links are dotted with players. The Sabbath is the preferred day for rodeos, conventions, family picnics; even ball games are played on the sacred day. “Business as usual” is the slogan for many, and our holy day has become a holiday. And because so many people treat the day as a holiday, numerous others cater to the wants of the fun-lovers and money-makers. "Sabbath-breakers, also are those people who buy commodities or entertainment on the Sabbath, thus encouraging pleasure palaces and business establishments to remain open—which they otherwise would not do. If we buy, sell, trade, or support such on the Lord’s day we are as rebellious as the children of Israel, the dire consequences of whose transgressions against this and other commandments should be a permanent warning to us all." We do live in a day of much Sabbath-breaking. If we heed prophetic counsel we will have promised blessings. If we live after the manner of the world - we're not promised the same. I often recall the message of Sister Elaine Cannon who said "When the Prophet speaks, the debate is over." And...a message from a church speaker one day who reminded that "right is always right even if no one is doing it and....wrong is always wrong even if 'everyone' is doing it'. I love the Sabbath day. It provides a respite from long, hard weeks, and a time to rest from the cares of the world. It's a time for reflection, renewing and rejuvenation.